May 7th, 2015 | Moving Tips. Whether you want to move your family to the big city or you need to plan a corporate move, you have lots of things to consider, including timing. If you go into your moving process knowing the tips below, you can choose the moving date that suits you best. States. According to simple laws of supply and demand, moving rates cost more during this time. So when planning your cost-effective and frugal move, try to avoid the time between late May to September. You’ll find prices much more affordable when you move during a less busy time. Booking in advance will also help you stay within budget. In addition to your availability (and any friends helping you move), you want your chosen moving company to have a clear schedule too. In addition to finding a time outside of peak moving season, you should consider the time of month or week. Movers are always busy on weekends, along with the beginning of the month. To ensure the most convenient pick-up and delivery times, choose a weekday in the middle of the month. This date will give you all the flexibility you want when scheduling with your moving provider. The weather impacts and affects many moves, often delaying them for days or more than a week. 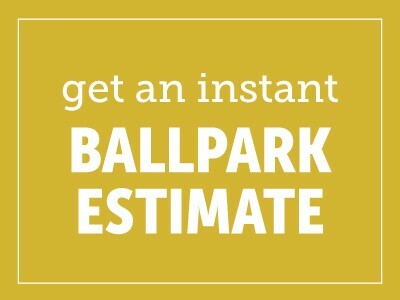 Fair weather contributes to your move’s success as much as the right moving company. Moving in the summer puts you right in the middle of peak moving season. Don’t forget that a sweltering day will also slow down your movers, no matter which way you look at it. At the same time, moving in the winter comes with certain hazards too. Choose a temperate season and check the weather ahead of time-and look at the forecast for your destination too. When you choose a day with optimal weather, you will protect your belongings as well as optimize your moving team’s productivity. You can’t control everything, but you can avoid a lot of problems by planning ahead. Whether you have a host of employees or your own family to worry about, you need to give your people time to adjust after a move. If you have to move a company, choose a time when your employees don’t have other events to distract them. As you make your choice, pay special attention to holiday times, both before and after. Employees may struggle to stay focused if they’re excited for or recovering from winter break. As for family factors, keep in mind that holidays are a great time to make your goodbyes to family and friends. However, traffic right after a large holiday can prove inconvenient. You should also take the school calendar into account if you have children at home. A move after the school year ends might make sense until you realize it leaves no time to adjust to moving or say goodbye to friends. 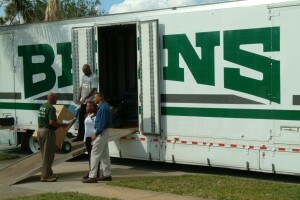 Give your family at least a month after the academic year ends to prepare for the move. In the end, the best time to move is the date that works most conveniently for you after you’ve considered the above factors. Take time to stop and think about each of these factors when you plan your move. Consider finances, company availability, the season, and adjustment time. With these factors in mind, you’ll find the best moving date for you, your family, your employees, and everyone else involved. Planning a move around weather can be pretty tricky. Good things to consider before moving. Thanks for sharing.